Hi folks, brand new owner in western Canada. 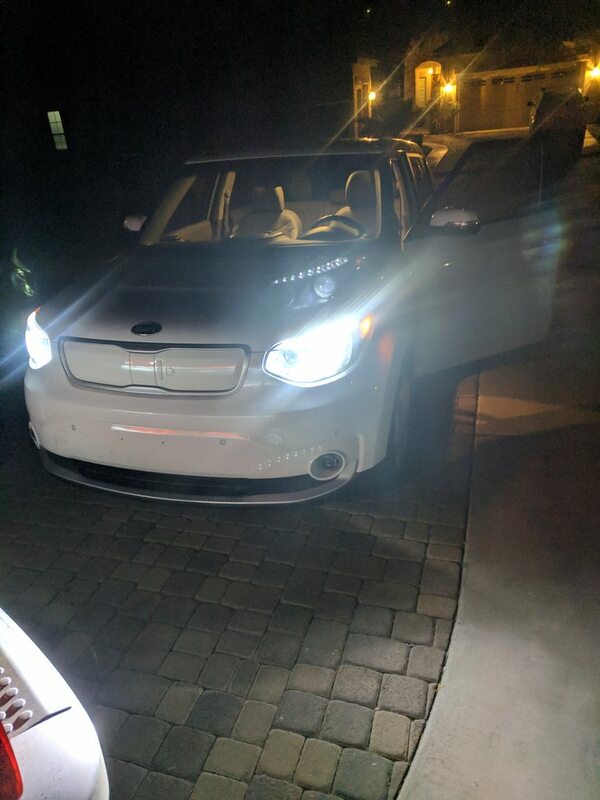 Traded our 15 Soul SX+ for this so new to the EV world. We loved the 15 with so many features and my wife so appreciates the size and internal capacity it was natural simply to do this side grade. That 15 was flawless. The headlights are awful compared. Went for a nice drive tonight and three sets of deer did not illuminate until within about 100’. The old soul had HIDs and our Audi does too, so this is quite the difference. That is the biggest concern I have right now. I do miss the really adjustable driver seat on this Soul, I am taller and wish I could rake it more. Miss the sub up front for the deeper richer overall sound of the stereo, that’s really petty I know. I look forward to growing with this car and enjoying the gas-less lifestyle. Unfortunately, you can't do anything about the seat adjustability or the missing subwoofer. 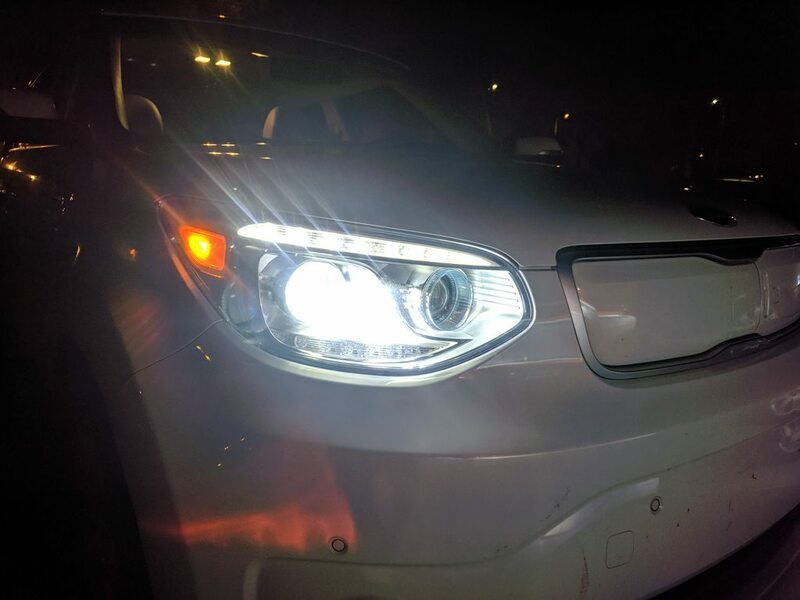 However, you can replace the front headlight low beam (and high beam) halogens for HIDs and they make a huge difference in both light color and brightness. I have 5000K HIDs and would never go back to the dim, yellow factory halogens. Do note that installing HIDs in the Soul EV is a bit tricky as it requires a more advanced HID controller (e.g. more $$) that work with the car's CANBUS system, plus drilling a hole in the lens cap/dust cover to fit the HID bulb in there. 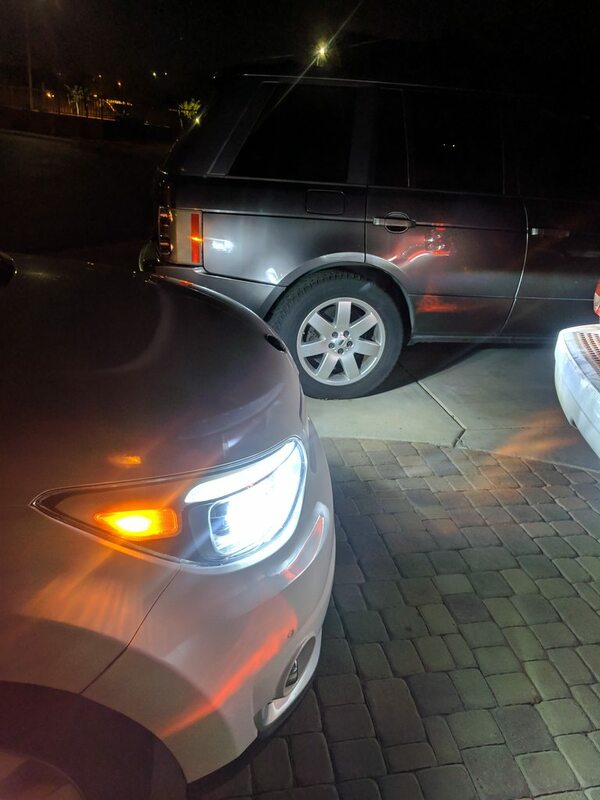 If you get those cheap HID kits off Amazon/Ebay, the HID ballast will fail to ignite 50% of the time and you may be stuck driving at night with no headlights. Enjoy your new EV, Bruce! 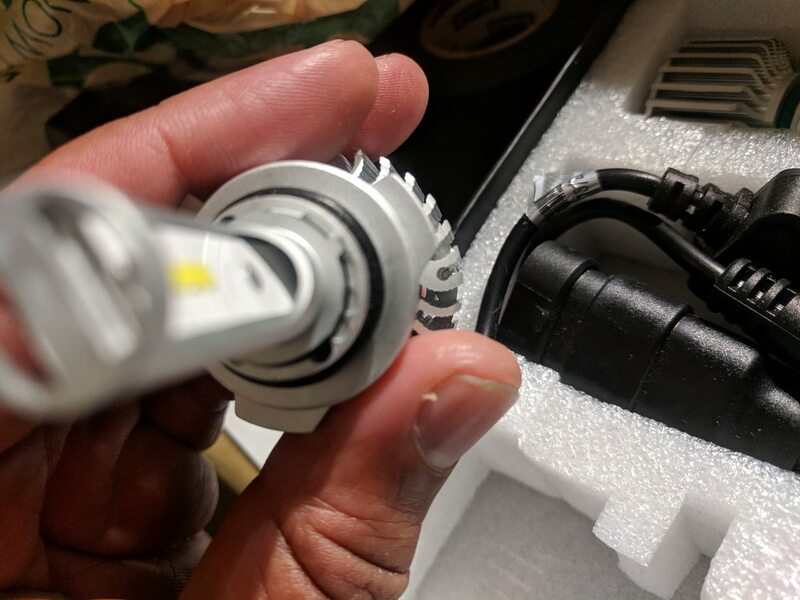 Where can I buy high quality HID lights? Thanks guys, as it is brand new and my wife’s car I will not do the hid custom fit. What about a hid swap that the SX has, anyone tried that? I did read about better bulbs. Recommendations? W/LED Bulbs to replace Low beam halogens in the projectors. I used these LED bulbs as they were $9.37 on sale when I ordered. The beam pattern seams to be clearer and brighter. (road signs are easier to read and the cutoff line is much sharper) Lighting distance seems to be about the same except LED bulbs are more uniform and less of a hotspot...which is weird since it is the same projector. -Although I did change the rotation of the LED bulbs in the holder to get better uniformity in the projected output. Rotating the Silver H7 ring as there are several notches you can use to adjust/rotate bulb. I have some for the Fog lights, but have been reluctant to change those yet...waiting for a bulb to fail. Kudo's for the excellent write up with pictures! Not sure it's something I would care to try, but well done.